I have a confession. I never beat The Legend of Zelda: A Link to the Past without infinite magic. I used infinite lives to finish Hyperzone, Thunder Spirits, or any of the other SNES scrolling shooters that I loved. My first full play-through of Final Fantasy 6 was made a little easier by starting the game with four of the most powerful weapons and accessories. Game Genie made it all possible. Did I miss out on some of the fun by cheating my way through challenges? "Some of the puzzles will be hard. But when you manage to solve those hard puzzles, you will feel very good about it. The game will feel very rewarding. Don't rob yourself of that feeling by reading a walkthrough! Please do not use a walkthrough." That bit of advice is from Jonathan Blow's official Braid "walkthrough." 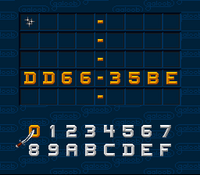 He even encourages the player by confirming that "All the puzzles can be solved. Some of them might take an hour or two, but you will get it. If you try. And you will feel cool and smart." Of course, this is assuming that the cool and smart feeling you get as a reward outweighs the two frustrating hours you spent staring at a single-screen puzzle. For some players I'm sure it is a sufficient reward. I'd compare the feeling to that of players spending hours memorizing enemy patterns in Ikaruga to get a high score or making a record speed run of Super Metroid. This hard fun results in an emotion called fiero. The key distinction between a high score or speed run and finishing Braid is that mastery is a choice. The player chooses how much time they want to devote to perfecting their play, but will already have experienced all of the game's content. 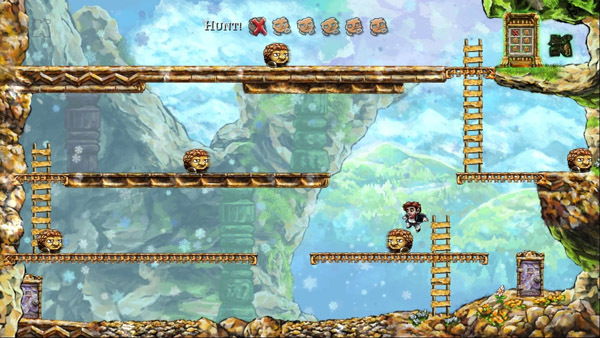 Braid requires 100% mastery just to progress to the ending. If the player wants to see the mind-blowing twist at the end, they are supposed to just tough it out. But what if the player isn't as affected by fiero, if it isn't their personal "ultimate Game Emotion"? What if their biggest emotional reward is curiosity or relaxation or excitement? That player wonders what happens in Tim's quest for his princess, wants to see what the next puzzle's twist on time manipulation is, or finds the art direction fascinating. Wouldn't their net enjoyment of the game be increased if they used a walkthrough to avoid some of the frustration? Wouldn't it be nice if they could press a button and have the avatar automatically progress through the next puzzle so the player could still see the solution? That's what a feature in New Super Mario Bros Wii can do, and it has been faced with very mixed reactions. A major element of the argument against such an automated walkthrough is that it promotes accessibility over engagement. Leigh Alexander claimed "History has also never disproven... the principle that any medium and any message degrades the wider an audience it must reach. Art was never served by generalization, nor language by addressing all denominators. Entertainment for the masses ultimately becomes empty." Well now, dissecting that argument can fill a blog post in itself. But in the case of Braid, the casual player won't be able to experience some of the most artistically challenging content. It's not that the art is difficult to interpret; the art is in fact hidden behind a barrier. Anyone can look at a painting and see every detail. They can read every word of a novel or watch every second of a movie. Understanding or appreciating the art is a different matter. Imagine if halfway through a novel you had to take an SAT-style verbal skills test to unlock the second half. What Game Genie allowed me to do was complete the game. I was playing SNES while in elementary school and didn't have the skills or patience to memorize attack patterns, but I really wanted to see what happened in the next level. In some cases, I was able to play around more freely with the mechanics when aided by cheat codes. For instance in Link to the Past, magic is limited such that some of the more powerful items can only be used sparingly. I remember using infinite magic to turn the Cane of Somaria into my primary weapon since creating a magic block that explodes in four directions was a fun twist on combat. One of the reasons I feel the quality of my experience playing games with Game Genie was preserved is that the game didn't do everything for me. In Zelda I still had to solve puzzles (though I did use a strategy guide occasionally). Even in shooters where I had infinite lives, I would try to kill as many enemies as possible and would be disappointed when I died. I determined my own level of challenge by choosing not only what cheat codes to use, but how to approach my play experience. The automated walkthrough still allows a player to be challenged by puzzles; it is a choice whether or not to use the feature. If a player doesn't want to their experience to be "spoiled," then they could just not use the walkthrough. Or they should only use the walkthrough on puzzles that have them completely stumped. It's only different from including an easy mode if you think the challenge of the gameplay trumps the desire of a less skilled (or less patient) player to continue forwards. I'm sorry but I'm afraid you've missed the point of Braid. The gameplay isn't a barrier you get over to earn the story, the art isn't hidden behind the gameplay. The gameplay IS the art. The interaction you have with the game is allegorical to the efforts of Dr. Oppenheimer. If you cheat you have robbed yourself of that taste of his frustration and "reward." Also, except for World 1 in the attic, all the content is unlocked if you just traverse the levels which requires almost no puzzle solving. So a player only interested in the games visuals or mechanics will easily be able to experience them. So, in a way, you can press a button to progress, you just can't beat the game since that would nonsensically violate the feelings of Dr. Oppenheimer.